Happy New Year! Last night was filled with champagne bottles, party hats, confetti and many cheers for the New Year. To continue the celebration, Recruiter.com wants to offer job seekers a list to ensure everyone is well prepared to successfully tackle the job hunt in 2014. We watched the ball drop to bring in the New Year, but here’s a special countdown for job seekers to set themselves up for job seeking success in 2014. 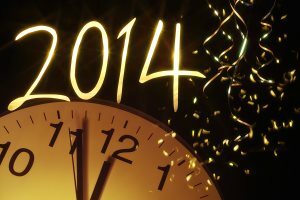 To ensure success in 2014, set goals when it comes to the job search. Don’t keep telling yourself, “I’m going to apply for a job today.” Make a job seeking schedule where you allot a certain amount of time each day to research open positions. Also, set a daily or weekly ‘apply goal’ to ensure you’re actively applying for X amount of job openings each day/week. Research is key when it comes to any job hunting process. Take time this New Year to thoroughly research each company you’re interested in. Look at the company culture, retention and turnover rates, employee engagement initiatives (or lack thereof), and management structure. This way you’ll be able to filter out which companies are the best fits. Many companies will be hiring during the New Year. Now is a great time to update your resume and cover letter. Think about all you’ve accomplished in 2013 and any new skills you’ve developed to add to your resume. Don’t forget to add any relevant volunteer experiences from the last year. The start of the New Year is a great time to assess your career path and really decide whether or not you’re even heading in the direction you desire. Look at your goals and where you currently are. Is your desired career path the best fit? Is it truly your passion, or do you have other motives for going in this direction? Taking time to assess your career goals during the New Year will help you determine if you’re truly making the best decisions for your future. Take time to network in 2014. Networking provides great opportunities to make connections, which can benefit your job seeking efforts. You never know if one of the people you meet this year will be the person standing between you and your next job. A recent jobopedia.org survey found that the one thing recruiters urge job seekers to do in the New Year is write thank you notes. They said actual hand-written thank you notes after an interview is a true indication of a candidate’s interest level. They also said that this form of a follow up shows good character and offers one more chance to for job seekers to “sell” themselves and express interest in the position. It’s always wise to develop new skills to add to your resume. Try volunteering this year or completing a certification to enhance your skill set. Interviews are your chance to dress to impress…literally. Show the interviewers your professionalism and ability to fit into the company culture by your choice of attire. This is HUGE for 2014. Employers are constantly looking at job seekers’ social media profiles, and trust, they take whatever they discover seriously. A candidate’s online reputation can significantly impact his or her chances of landing a job. Make sure you constantly monitor what you display on your social media outlets (and what you currently have on them).